In preparation for Gumby’s anniversary years, Art Clokey’s son Joe has re-mastered all of the original 1950s episodes from the original camera rolls. They look fantastic! The brilliant colors and textures are so clear that you could almost walk right into an episode. The episodes are put back into their original lengths with original soundtracks as they appeared when they first aired. You’ve never seen Gumby like this before! Get the details. 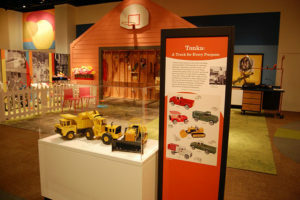 This two-disc gift set includes a 1950s style bendable toy–a toy modeled after the first clay Gumby puppets used in the 1950s. Not wanting to take advantage of children, creator Art Clokey avoided merchandising Gumby items in the 1950s. After thousand of letters from parents who insisted that he make a Gumby toy for their children to hold while watching the show, Art finally relented and released the first bendable Gumby in 1964, which was modeled after the 1960s clay Gumbys that appeared in those episodes. 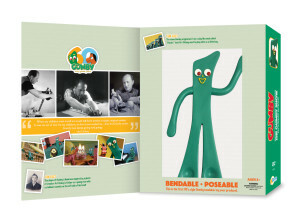 We’re thrilled to be offering the 1950s style Gumby bendable toy for the first time ever. 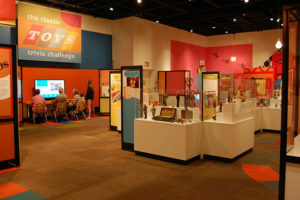 You’re going to love Gumby’s imaginative, fun-filled adventures. 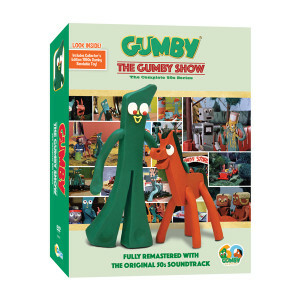 The DVD set will be available at www.gumby.com and other retailers.